Play: a serious role in organisational transformation? 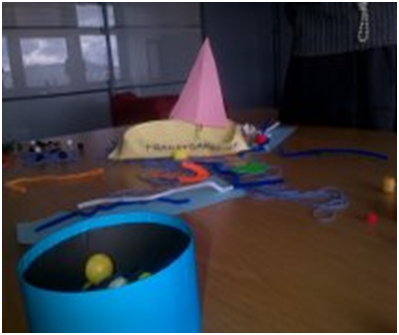 The role of creativity has long been established as pivotal to individual, organisational and business development. Scotland’s national learning creativity plan highlights that creativity is needed to see things differently, find new approaches to the challenges we all face, and understand how it can shape our future. What about the role of play? Is it the same as creativity? Does it have a role in organisational change? I’ve been pondering this for some time, particularly in relation to the challenge of how we move from what is already known (and which we know doesn’t work) to finding new solutions. We recognise that we need to change, but how do we leave the old ways behind and explore the borderlands to something new: the unknown? We need to be more creative – but how? Previous Post Go Big or Go Home…. !